High Purity, Good Dispersion, High Temperature Resistance, Good Abrasion Resistance And High Hiding Power. 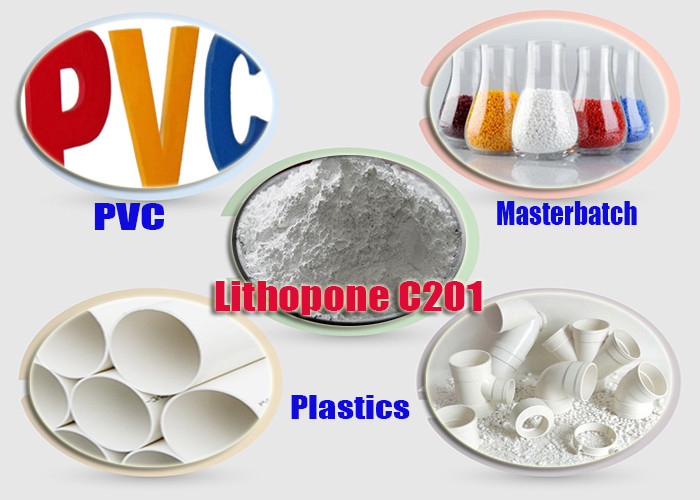 Widely Used In Polyolefin, Vinyl Resin, ABS Resin, Polystyrene, Polycarbonate, Nylon And Polyformaldehyde Plastics. 2. Liangjiang brand- lithopone, we strictly control operating conditions in the process of production to guarantee the product quality. Our lithopone, with strong covering powders. During the white pigments, the covering powders, a little,second only to titanium dioxide, higher than zinc white,lead white and antimony white. low oil absorption, alkali resistance and good chemical stability, stable for a variety of gas;White color, but cheaper, non-toxic, Mouldproof and kill alga; Good heat resistance and wearability. As a traditional white pigment, lithopone is second only to titanium dioxide ,white color, stong covering powers, good dispersibility, resistance to pulverization, adhesion and mouldproof, etc. There is a history of 100 years for the development of lithopone. At present, only China in the world are still in the production of lithopone, so China also reflects the global trends. 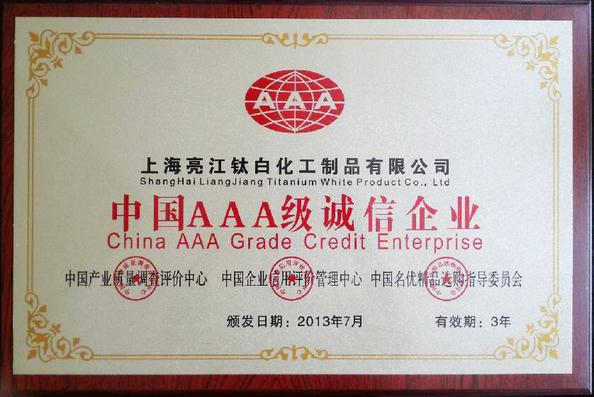 Shanghai Liangjiang titanium white products co., LTD., the production of lithopone, annual output of 60000 tons, the export ratio is 41%, mainly used in coatings, and plastic fields, accounts for about 93% of total consumption of lithopone. The coating area about 77%, the plastic area about 16%. 3. 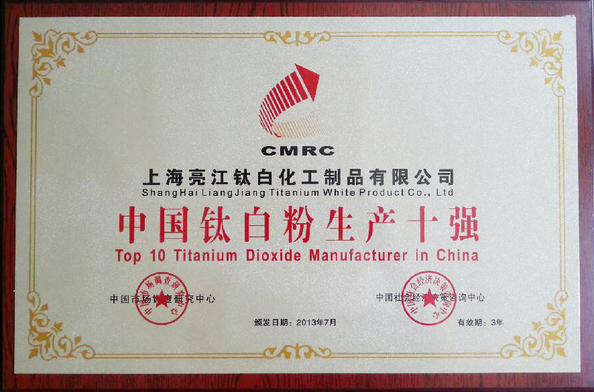 Liangjiang brand, lithopone C201, adops pure physical and chemical processing method for process selection of barium sulfate), a mixture of zinc sulfide and barium sulfate, so they are also called Charlton white. The appearance is white powder, non-toxic, low oil absorption, alkali resistance, good chemical stability, heat resistance and the good abrasion resistance. During the white pigments, the hiding power next to titanium dioxide, not including other mechanical impurities. It is the most superior product quality performance as the similar products at current. So widely used in paints, coatings, inks, primers, decorative coatings, coil coatings, general industrial coatings, plastics, rubbers, enamels, glasses, papers, clothes, leathers, water colors, also used in polyolefin, vinyl resin, ABS resin, polystyrene, polycarbonate, nylon and formaldehyde, and other fields. Widely used in polyolefin, vinyl resin, ABS resin, polystyrene, polycarbonate, nylon and polyformaldehyde plastics and paint, ink, white pigment.Also used for rubber products, paper, cloth, leather, watercolor coloring, paper, enamel, etc.Used as a binder in buld production. 1x20' FCL can be loaded 20 Pallet/ 22 ton/880bags. 1x20' FCL can be loaded 25 ton/ 1000bags without pallet. Application: plastics, rubbers, papers, leathers, etc.